Two-room luxury apartment "Verona" in the center of the city with a view of the central park and the main avenue of the city. Located on the 5th floor of a five-story building. Panoramic views are complemented by a cozy atmosphere of rooms and thoughtful design. Apartments "Verona" are kept in classical style. The fireplace made of living stone, the figures of angels and skillfully selected textiles will not leave guests indifferent. The apartments consist of a bedroom, a living room combined with a kitchen, a bathroom / WC. 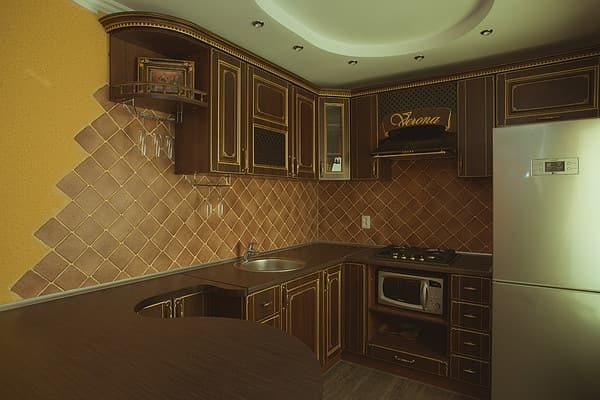 The kitchen is equipped with the necessary equipment: refrigerator, kettle, microwave oven, electric stove, extractor fan. The apartment is equipped with air conditioning. 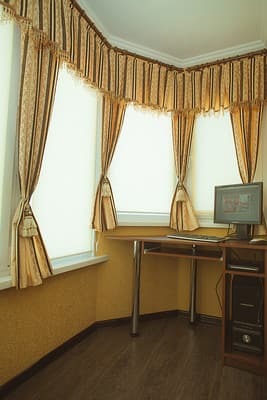 To the services of living apartments "Verona" - a computer. Near the house there are 24-hour grocery stores, pharmacies, an abundance of cafes and restaurants for every taste. To the train station 5 minutes drive. 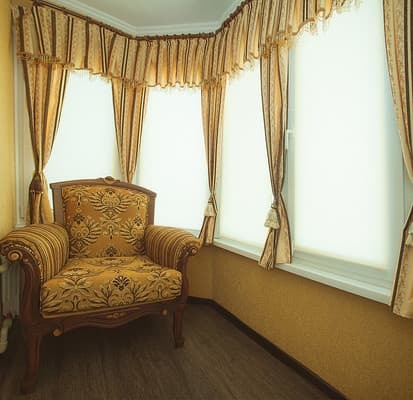 Description of the room: Two-room studio apartments are designed in classical style. Fireplace made of living stone, figures of angels, skillfully selected textiles. They consist of a bedroom, a living room combined with a kitchen, a san / node. 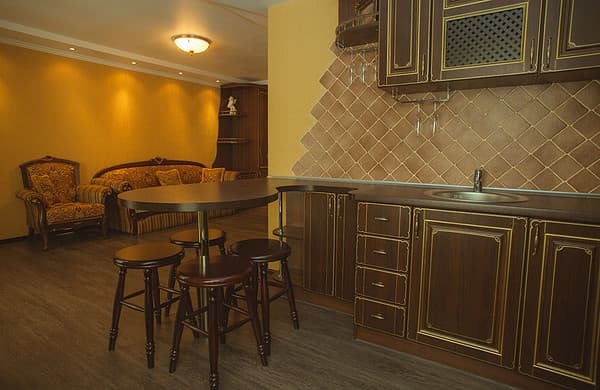 The kitchen is equipped with the necessary equipment: refrigerator, kettle, microwave oven, electric stove, extractor fan. At the guests' disposal is a computer. Accommodation 2-4 people. The apartment has a large sofa. Located in the heart of the city, on the central avenue of Bogdan Khmelnitsky, near the entrance to the park. Near the house there are 24-hour grocery stores, pharmacies, an abundance of cafes and restaurants for every taste. To the train station 5 minutes drive. By public transport (fixed-route taxi) in the direction of Belyakov, stop Krasnoarmeyskaya. Or by taxi.